Community Spirit is one of Town Hall Symphony Hall’s flagship community projects. 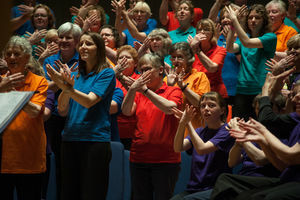 It is a community singing project which enables 500 community singers and their choirs to come together to celebrate the City, to build social inclusion and to increase positivity and well-being. 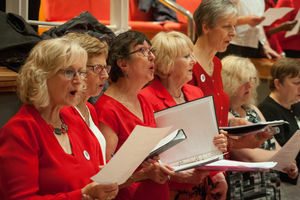 Prior to the final project performance on Sunday 8 July, the choirs will undertake weekly rehearsals in their own communities and also join a series of mass rehearsals to create wonderful evening of song in Symphony Hall.